Enterprise responds to a distress call at planet Rana IV, which was reportedly under attack by an unknown ship. But by the time they get there, the enemy is gone—along with all life and buildings on the surface. Eleven thousand colonists have been wiped out. No wait, make that 10,998. Scans show that there are two survivors located in an improbably intact square of land that contains a house and plant life. 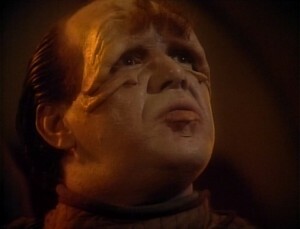 Picard and Crusher attend Data’s first violin recital, but are called away almost immediately by a message from the Sheliak, a non-humanoid race with Javert-like punctiliousness for the rule of law. It seems the Sheliak have found humans on the planet Tau Cygna V, which they plan to colonize in four days. The humans’ presence is a violation of the Armens treaty, negotiated over 100 years ago. Picard is skeptical any life could exist on that planet because of its extreme radiation levels, but Worf confirms that life is on the planet. Riker can’t imagine more than a few dozen colonists, so Data takes a shuttlecraft to bring the strays back into the fold. 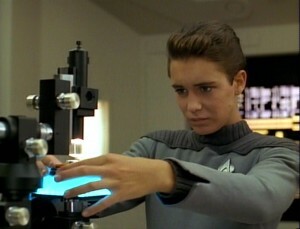 Acting Ensign Wesley Crusher wakes up from a terrible dream about spending two years aboard an alternate version of the Enterprise, in which the crew often behaved as if their dialogue and actions were guided by poorly-written television scripts and their missions didn’t make any sense. Phew. Thank goodness that’s over. 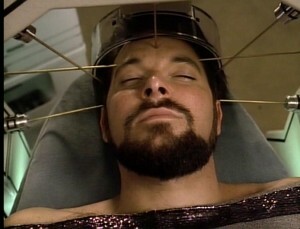 Unfortunately, Commander Riker’s wake-up call informs Wesley he’s late for Bridge duty; he’d fallen asleep at his workstation and forgotten to set an alarm. He hastily packs up his scattered equipment and rushes off to take his position at Navigation. With the promise of better days ahead, we present our summarized ratings for season 2 and question the direction our lives have taken us. And let us never speak of this again. Enterprise is assigned to participate in a game of laser tag under the supervision of Sirna Kolrami, a Zakdorn master strategist. The scenario will pit the state-of-the-art flagship of the Federation against a decrepit eighty-year-old starship, the Hathaway, under the command of “Captain” Riker. So that’s fair. Picard had initially rejected this proposal because it’s a waste of time, but he figures maybe they could use the extra practice in tactical combat, what with the Borg gunning for them and all. Worf “Iceman” son of Mogh keeps winning at the weekly poker games, which is a sophisticated way of letting you know the episode’s going to be about him. 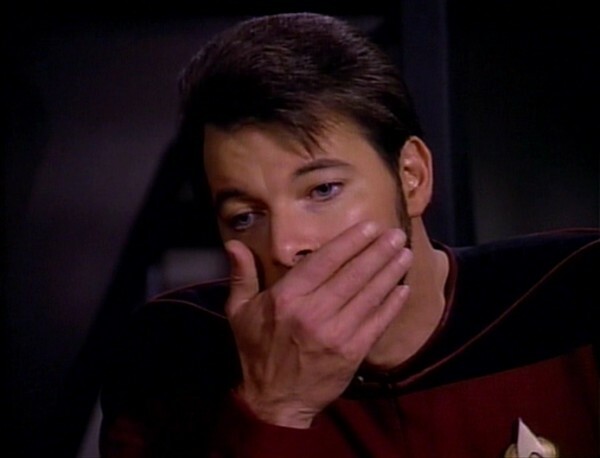 Before he can clean out the bridge crew completely, however, someone pages Riker about some kind of Starfleet emergency. (Yeah, sure. 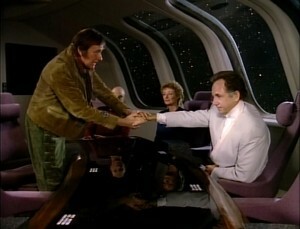 I bet Riker has a panic button under that table.) Picard can’t get any answers out of Starfleet Command, but they do know that a “special emissary” stuffed in a class 8 probe will be arriving shortly to debrief them. In the transporter room, Captain Picard greets a couple of fishy Antedean dignitaries destined for a conference on Pacifica—but they’re in a self-induced catatonic state, so he probably could have skipped the dress uniform. 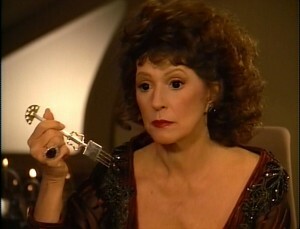 Yet his sacrifice is not for naught, because Enterprise has another distinguished, albeit unexpected guest: Lwaxana Troi, daughter of the Fifth House, Holder of the Sacred Chalice of Rixx, Heir to the Holy Rings of Betazed. 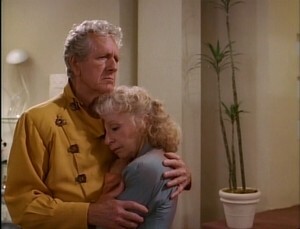 And she is very appreciative of Picard’s legs. She happens to be going to Pacifica too, so she hitches a ride, to everyone’s inexpressible delight. This episode begins with an S.O.S. This is your only warning. The strange signal, whose nature Riker instantly guesses despite it taking Starfleet a month, is a call for help used by Earthlings over three hundred years ago. Even though the distress call’s a month old no one has bothered to check it out yet, which winds up having been a strangely prescient move. 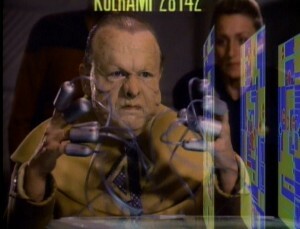 Alas, Picard decides to save humanity’s “lost sheep,” in between healing some lepers and turning water into synthehol. Worf wants out of this episode and collapses to the floor of the bridge, thereby cementing his role as the most sensible person on this godforsaken boat.